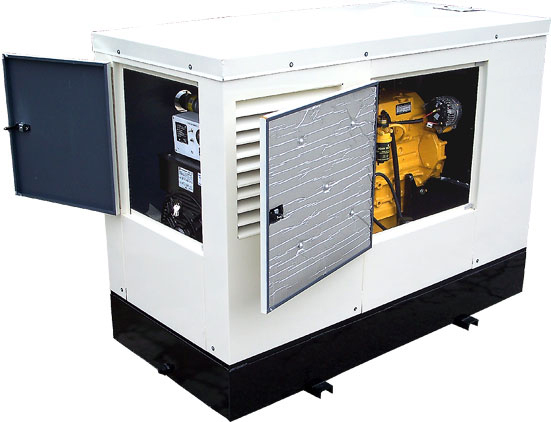 Generator applications that ONLY operate upon the loss of a normal power source such as utility. 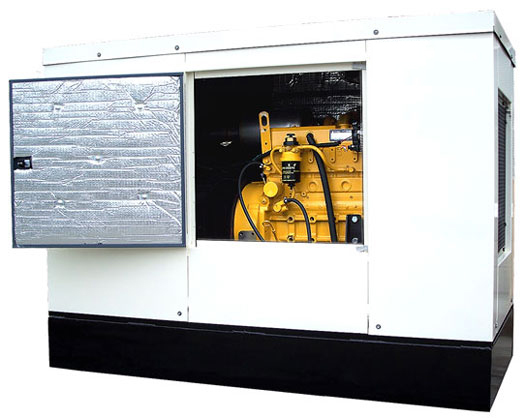 50,000 Watt Diesel Generator with Sound Enclosure - This diesel generator is suitable for continous use and has plenty of power to your home, job site or business. 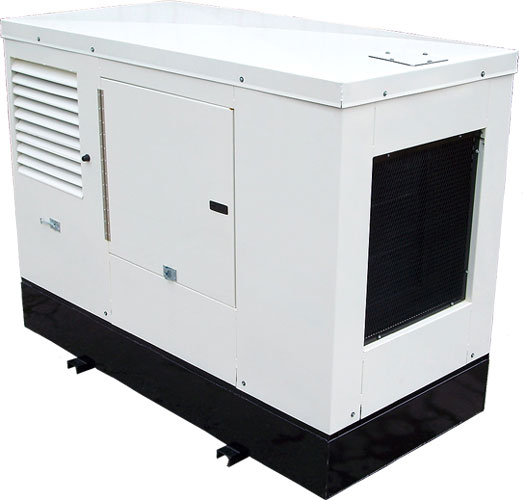 This unit operates at 1800 RPM.It comes with a sound attenuating enclosure, muffler and 4 point vibration mounts for quieter operation. 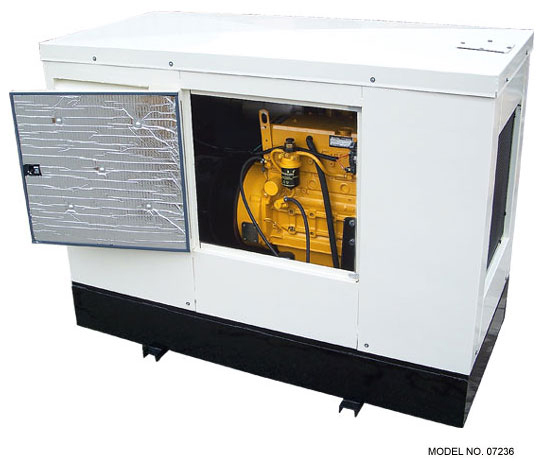 This unit features a 3.05L John Deere 5030TF diesel engine, electronic governor (0.5% frequency control), electronic engine controls (including snapshot diagnostic data), cast iron crankcase with reborable liners, full flow lube oil filteration, brushless generator end (fan-cooled), solid state automatic voltage regulator w/ stability adjustment and underspeed protection, turbocharged aspiration, electronic fuel controller, extended 500-hour oil change and filter interval, single-side service points, liquid cooling, residential-grade muffler, replaceable foam air filter element, heavy steel skid base and control panel w/ hour meter. 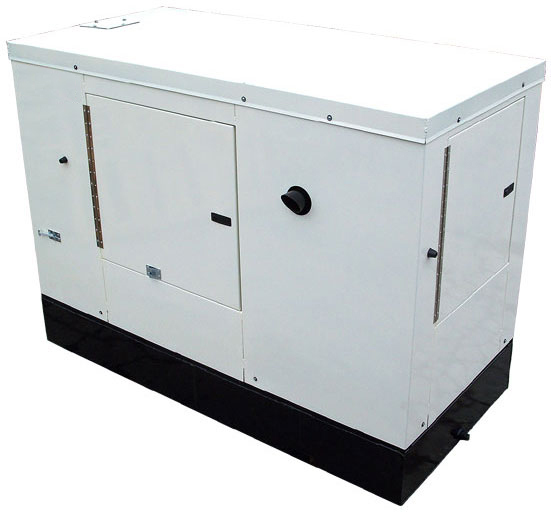 Bore & Stroke 3.4" x 4.1"
Oil Capacity (w/ Oil Filter) 6.7 qts. Fuel Inlet Hose Size 3/8"
Fuel Return Hose Size 5/16"
(L x D x H) 22-3/4" x 9-1/2" x 24"